What do I need to know before taking legal action for a spinal cord injury after a motorcycle accident? Motorcycles lack the exterior protection of passenger vehicles and, as a result, riders can suffer catastrophic, disabling, or even deadly injuries in the event of an accident. Spinal cord trauma is one of the most common serious injuries associated with motorcycle crashes, as it can cause partial or complete paralysis that may be temporary or permanent. Incomplete spinal cord injuries. Motorcyclists with incomplete spinal cord injuries may retain some sensation and motor function below the point of the injury. Complete spinal cord injuries. Unlike riders with incomplete spinal cord injuries, individuals with “complete” injuries have no sensation or motor function below the part of the spine that was injured. Spinal stenosis. Dislocations or fractures of the spine can put pressure on spinal nerves, resulting in numbness, weakness, and pain in the lower back or legs. 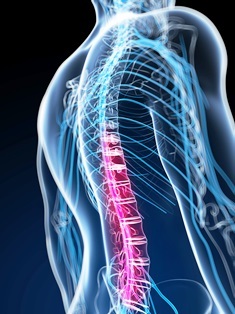 Spinal injuries frequently cause complications such as difficulty breathing, mobility problems, balance and coordination issues, sexual dysfunction, loss of bowel or bladder control, and other issues. These injuries necessitate extensive and costly medical treatments and assistive care. According to the Christopher & Dana Reeve Foundation, the estimated lifetime costs of living with a spinal cord injury can range from just over $1 million to almost $5 million. However, motorcyclists injured in accidents caused by another person or entity's negligence may not have to bear this financial burden alone. Georgia law gives personal injury victims the ability to pursue compensation for damages such as physical injuries, property damages, lost wages, loss of earning capacity, pain and suffering, mental anguish, disability, and more. If you suffered a spinal injury in a Georgia motorcycle crash, your life might never be the same. The attorneys with Van Sant Law have the extensive case knowledge to help you understand your rights and fight for the damages you deserve. Contact us today to schedule an appointment for a free initial consultation to discuss your case with a member of our legal team.